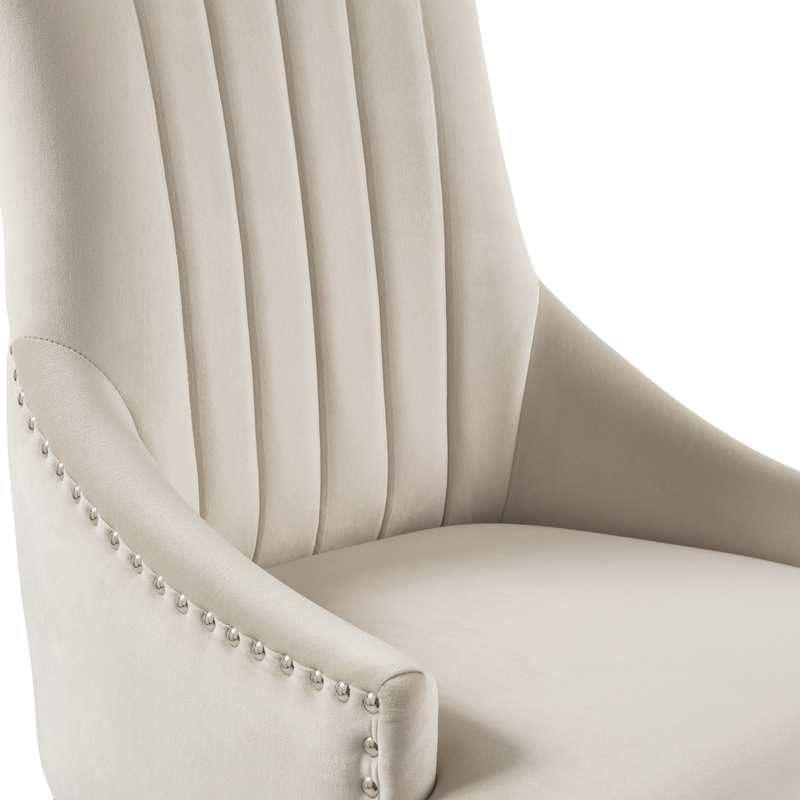 Our Chelsea upholstered scoop back dining chairs are sophisticated and very elegant. 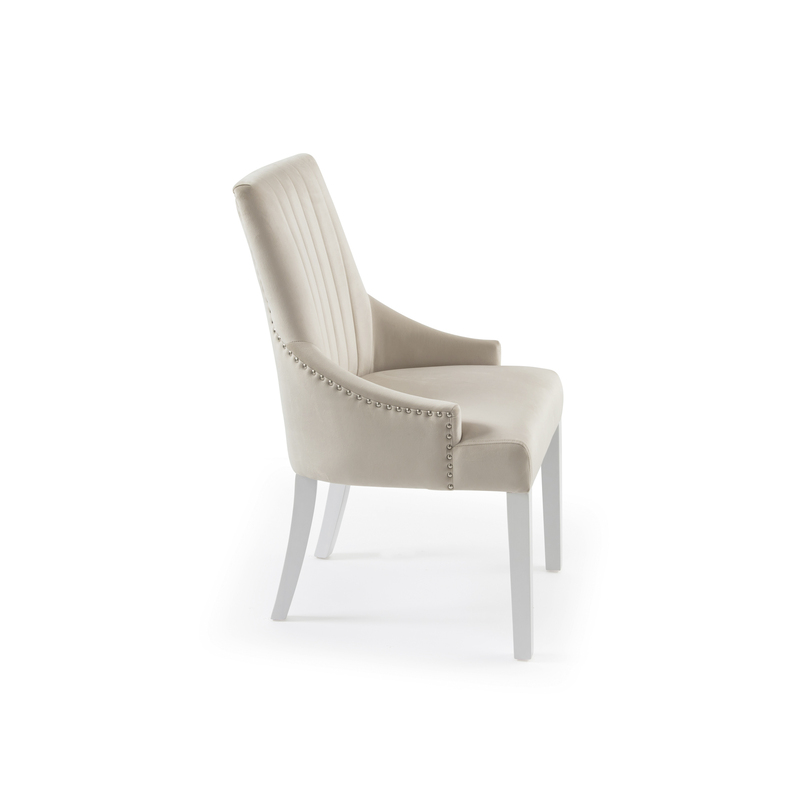 Our newly redesigned Chelsea upholstered scoop stripe dining chairs are sophisticated and very elegant. A lovely luxury model that's designed to impress anyone who steps foot into your dining room. 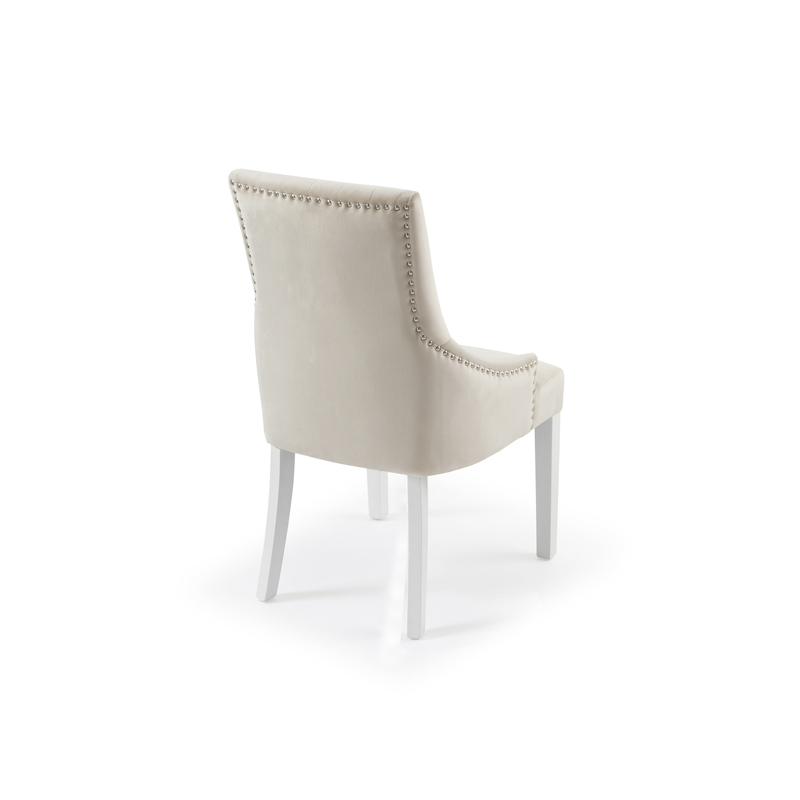 The backrest boasts a stripe detailing with decorative shiny steel studs around the perimeter and are complete with four white painted legs. Our Chelsea dining chair cover is made of blushed cream velvet which, through a traditional weaving technique, gives the fabric a warm, deep colour and a soft surface with a dense pile and light, reflective shine. This velvet is a soft, luxurious fabric that is resistant to abrasion and easy to clean. 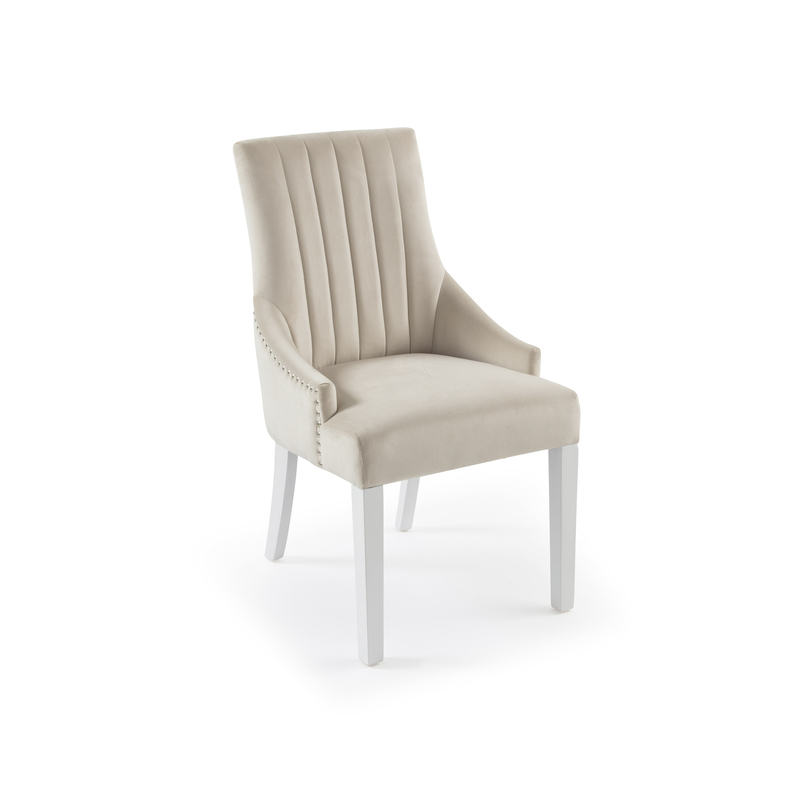 All of our dining chairs feature hand crafted upholstery to ensure that the fabric is taut across the entire product and meet our strict standards.